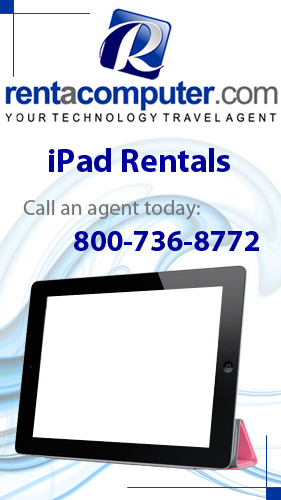 Save Big on All Plasma and Training Rentals from Your Tech Travel Agent! Times are tough and money is tight. Nobody understands that better than your Tech Travel Agent, which is why you can save 10% on any and all technology rentals for training purposes and 5% on any and all plasma rentals! However, this deal won’t last forever, which means if you want to save some extra cash . . . → Read More: Save Big on All Plasma and Training Rentals from Your Tech Travel Agent! When hiring a new employee, things can get tricky. You have to train the employee on everything he or she needs to know, but you also don’t want their inexperience hindering your day-to-day operations, especially if you need to train them on different software or computer programs that could be complicated. You may have heard of a Tech Travel Agent, but you may have some questions about how getting temporary technology from a Tech Travel Agent works. While acquiring things from other companies can be a hassle, working with a Tech Travel Agent is as simple as 1, 2, 3! Amazon and Barnes & Noble have decided to cut the prices on the Kindle Fire HD and the Nook eReader tablets as the holiday shopping season heads into full swing. $50 was dropped off the Amazon Kindle Fire HD for one day only, though the Nook Simple Touch was permanently dropped by $20 to $79. There have been a lot of advancements in wireless communications over the past several years. In little time, devices have gone from 3G to 4G capabilities. It is the latest generation in mobile wireless technology which can accommodate modern Internet traffic.